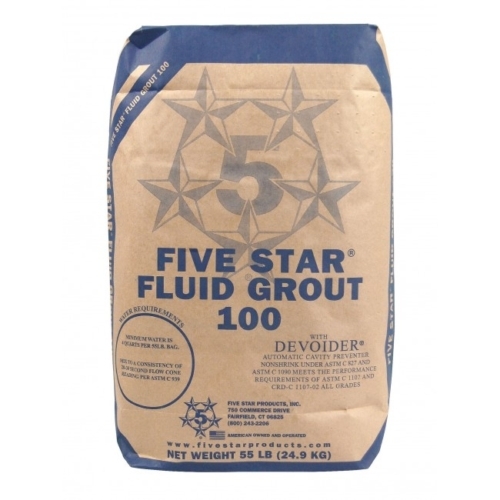 Five Star Fluid Grout 100 is the industry?s leading cement-based, nonmetallic, non-shrink fluid grout for supporting machinery and equipment. It is formulated with Air Release technology that combines high performance with the greatest reliability. When tested in accordance with ASTM C 827, Five Star Fluid Grout 100 exhibits positive expansion. Five Star Fluid Grout 100 meets the performance requirements of ASTM C 1107-02 Grades A, B and C, ASTM C 1107-07 and CRD-C 621-93 specifications for non-shrink grout over a wide temperature range, 40?F - 90?F (4?C - 32?C). Characteristics Include: - Air release technology per ACI 351.1 R - Placement within tight clearances down to 1/2 inch - High 1, 7 & 28-day strength - Permanent support for machinery requiring precision alignment - Does not contain gas generating additives, such as aluminum powder - Non-shrink from the time of placement - 95% Effective Bearing Area (EBA) is typically achieved following proper grouting procedures Uses Include: Grouting clearences to 1/2", Grouting of anchors and dowels, Grouting of Equioment and machinery to maintain porecise alignment, Non-Shrink grouting of structural steel and precast concrete, preplaced aggregate grouting, tank and vessel support. 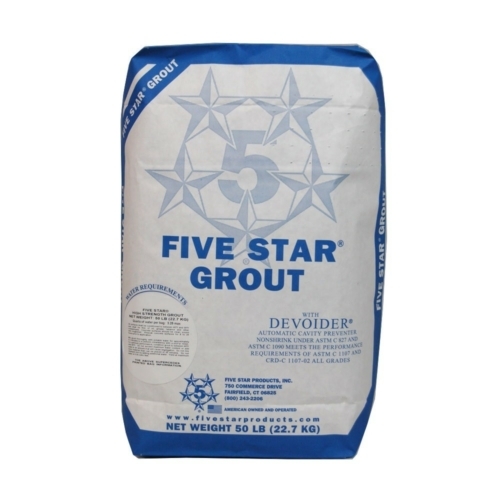 Five Star Grout is the industry?s leading cement-based, nonmetallic, non-shrink grout for supporting machinery and equipment. It is formulated with Air Release technology that combines high performance with the greatest reliability. When tested in accordance with ASTM C 827, Five Star Grout exhibits positive expansion. Five Star Grout meets the performance requirements of ASTM C 1107-02 Grades A, B and C, ASTM C 1107-07, and CRD-C 621-93 specifications for non-shrink grout over a wide temperature range, 40?F - 90?F (4?C - 32?C). Characteristics Include: - Air release technology per ACI 351.1 R - 95% Effective Bearing Area (EBA) is typically achieved following proper grouting procedures - Provides placement versatility: dry-pack, pour, or pump - 45-minute working time - Permanent support for machinery requiring precision alignment - Does not contain gas generating additives, such as aluminum powder - Non-shrink from the time of placement Uses Include: Grouting of machinery and equipment to maintain precise alignment, Non-shrink grouting of structural steel and precast panels, grouting of anchors and dowels, support of tanks and vessels, etc. Five Star High Strength Grout is the industry?s leading cement-based, non-metallic, non-shrink grout for supporting machinery and applications requiring precision alignment. It is formulated with Air Release technology that combines high performance with the greatest reliability. When tested in accordance with ASTM C 827, Five Star High Strength Grout exhibits positive expansion and meets the performance requirements of ASTM C 1107-02 Grades A, B and C, ASTM C 1107-07, and CRD-C 621-93 specifications for non-shrink grout over a wide temperature range, 40?F - 90?F (4?C - 32?C). Characteristics Include: - Ultra-high 1, 7, and 28 day compressive strengths - 95% Effective Bearing Area (EBA) is typically achieved following proper grouting procedures - Placement versatility: can be poured, wet set or dry packed - Permanent support for machinery requiring precision alignment - Nonshrink from the time of placement Uses Inlcude:Grouting of machinery and equipment under high loads, grouting of structural steel and precast concrete panels, support of tanks and vessels, wind trubines, compressors and turbine equipment, grouting of anchors and dowels, etc. Five Star Highway Patch is a one component, fast setting hydraulic cement material ideal for horizontal repairs of concighways and Bridgesrete in traffic areas. 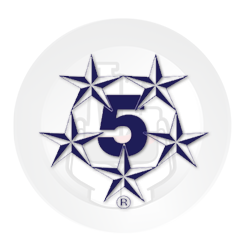 Five Star Highway Patch provides resistance to oil, grease, gasoline, salts and other chemicals found in the transportation environment. Characteristics Include: - High early strength - One component/ease of use - Open to traffic in two hours - Freeze/thaw resistance - Resistant to salts - Cold weather installation - Coarse aggregate extension Uses Include: highways and bridges, parking decks and ramps, airport runways and taxiways, expansion joint rebuild, dowel bar retrofit, cold weather repairs, etc. Fast Traffic Area Repair for Cold Weather. Five Star Highway Patch Winter is a one component, fast setting hydraulic cement material ideal for horizontal repairs of concrete in traffic areas for cold weather conditions. 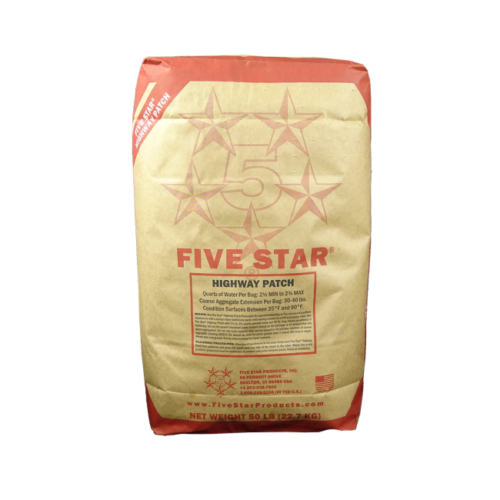 Five Star Highway Patch Winter provides resistance to oil, grease, gasoline, salts and other chemicals found in the transportation environment. Characteristics Include: - High early strength - One component/ease of use - Open to traffic in three hours - Freeze/thaw resistance - Adjustable to working time - Resistant to salts - Cold weather installation - Coarse aggregate extension Uses Include: highways and bridges, parking decks and ramps, airport runways and taxiways, eppansion joint restoration, dowel bar retrofit, cold weather applications, etc. Five Star Highway Patch FR is a one component, fiber-reinforced, fast-setting, high strength, cement-based repair mortar designed for transportation applications where high early strength gain is needed to reduce down time. Five Star Highway Patch FR combines a unique chemistry requiring no wet cure or curing compounds along with fiber reinforcement for excellent crack resistance and long-term durability. Characteristics Include: - High early strength - One component for ease of use - Open to traffic in three hours - Freeze/thaw resistance - No Wet Cure or Curing Compounds Required - Resistant to salts - Coarse aggregate extension Uses Include:heavy traffic areas, warehouse floors, loading ramps,sidewalks, airport runways and taxiways, parking decks and ramps, pier decks with high truck traffic, etc. 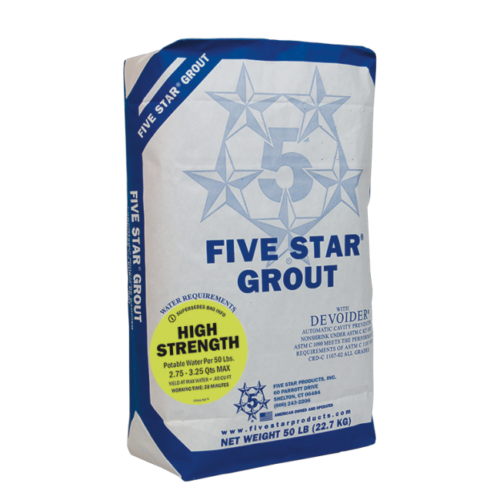 Five Star HTR Grout is a unique cement based grout for supporting equipment and structural baseplates in high temperature environments. 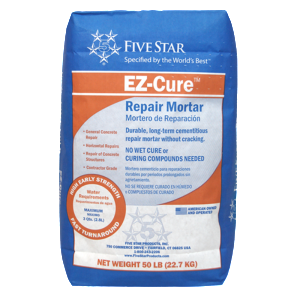 Five Star HTR Grout can be poured into place, gains strength rapidly and can be exposed to 1000?F (538?C) in three hours and up to 2400?F (1316?C) after a 7-day curing procedure. Five Star HTR Grout shows positive expansion when tested in accordance with ASTM C 827. 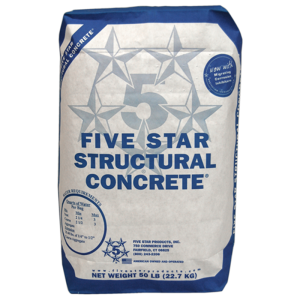 Five Star HTR Grout meets the performance requirements of ASTM C 1107-02 and CRD-C 621-93 specs for nonshrink grout grades A, B, and C. Characteristics Include: - Thermal shock resistant - Resistant to sulfates - High temperature resistance - High early strengths - Does not fall below original placement volume per ASTM C 1107 Uses Include: areas of high temperature exposure, thermal cycling up to 2,400 Deg. F, rapid turn-around during shutdowns, coker kiln and foundary applications, etc. 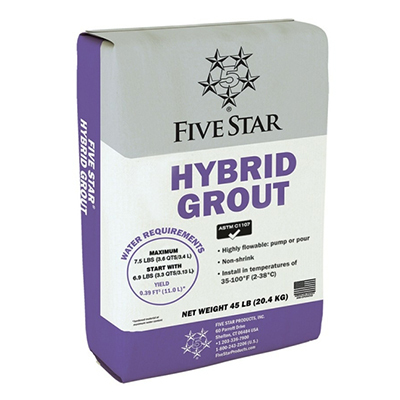 Five Star Hybrid Grout is the industries leading cement-based, nonmetallic, non-shrink, UHP (ultra high performance) cement grouting compound for various applications including machinery and equipment. It is formulated with Air Release technology that combines high performance with the greatest reliability. 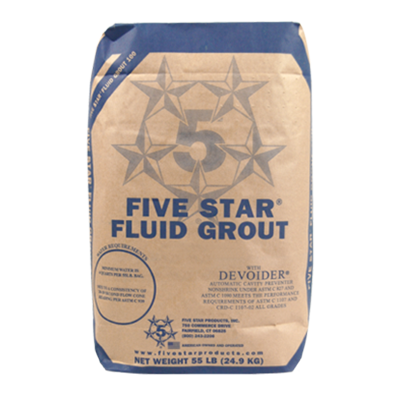 When tested in accordance with ASTM C 827, Five Star Hybrid Grout exhibits positive expansion. 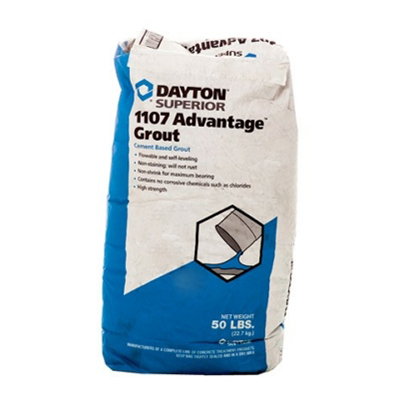 Five Star Hybrid grout meets the performance requirements of ASTM C 1107-02 Grades A, B and C, ASTM C 1107-07, and CRD-C 621-93 specifications for non-shrink grout over a wide temperature range, 40?F - 90?F (4?C - 32?C). Characteristics Include: -Ultra-high 1, 7 and 28 day compressive strengths -95% EBA (effective bearing area) when proper grouting procedures are followed -can be poured or pumped -non-shrink from time of placement -can be installed over a wide temperature range (35Deg F. to 100 Deg f.) Uses Include: grouting of machinery and equipment, structural steel posts and columns, grouting of tanks and vessels, wind turbines, compressors and turbo equipment, grouting of dowels and anchors, etc. 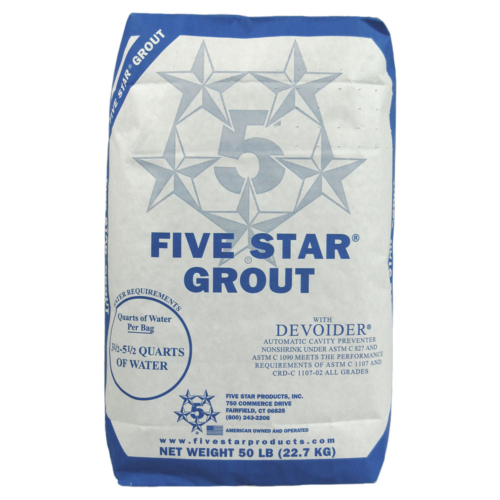 Five Star Instant Grout is a rapid strength gain, nonmetallic, nonshrink grout for supporting machinery requiring precision alignment and quick turnaround. 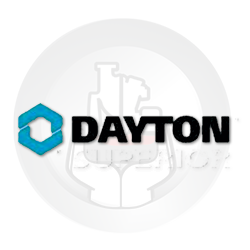 It is formulated with an advanced technology ideal for cold weather applications, while providing the greatest reliability, and selective chemical resistance. 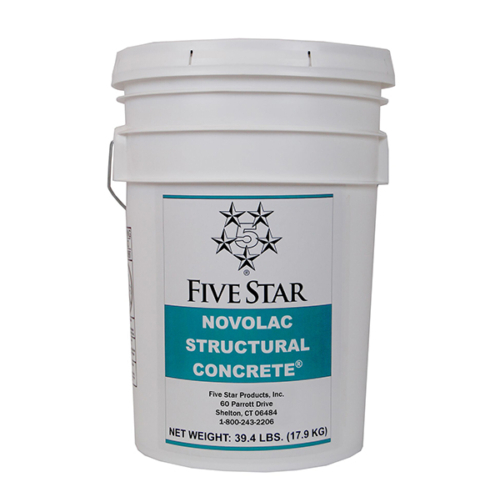 When tested in accordance with ASTM C 827, Five Star Instant Grout shows positive expansion. Five Star Instant Grout meets the performance requirements of ASTM C 1107-02 and CRD-C 621-93 specifications for nonshrink grout. Characteristics Include: -air release technology per ACI 351.1 R -Superior cold weather performance - Permanent support for machinery requiring precision alignment - High four hour strengths - Fast turnaround time - Field adjustable working time with Summerset - 95% Effective Bearing Area (EBA) when using proper grouting procedures Uses Include: Low temperature placement, fast turn-around time, machinery baseplates with precise alignment, structural steel columns and precast concrete panels, support of tanks and vessels, etc. 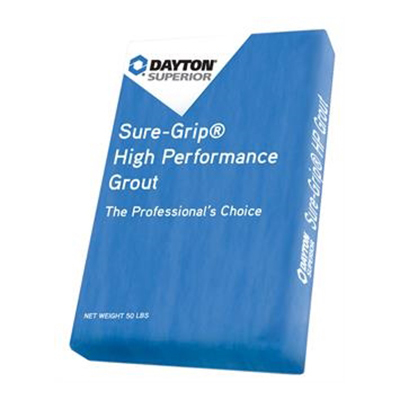 Five Star Special Grout 110 is a cement-based, nonmetallic, nonshrink grout with long distance pumpability for supporting machinery requiring precision alignment. When tested in accordance with ASTM C 827, Five Star Special Grout 110 shows positive expansion. Five Star Special Grout 110 meets the performance requirements of ASTM C 1107-02 and CRD-C 621-93 specifications for nonshrink grout for Grades A, B and C, over a wide temperature range, 40?F - 90?F (4?C - 32?C), and a long working time, 45 minutes. Characteristics Include: - Air Release Technology per ACI 351.1 R - Long distance pumping ability - Permanent support for machinery requiring precision alignment - 95% Effective Bearing Area (EBA) when proper grouting procedures are followed - High 24 hour strength - does not contain gas generating additives such as aluminum powder - Non-shrink from time of placement Uses Include: machinery baseplates and soleplates, placement by pumping long distances, structural steel columns and pre-cast concrete panelks, anchors and dowels, support tanks and vessels, etc. 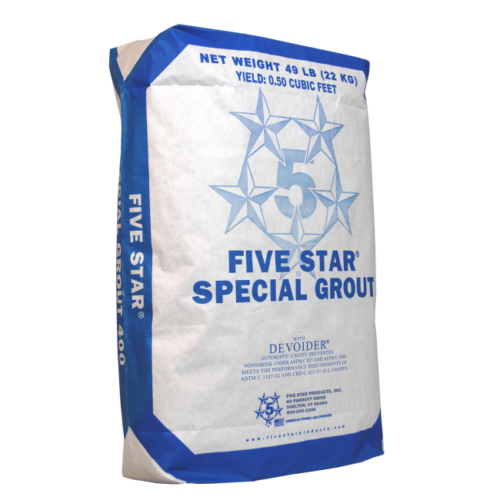 Five Star Special Grout 120 is a cement based grout product where seawater and high salt resistance is required. 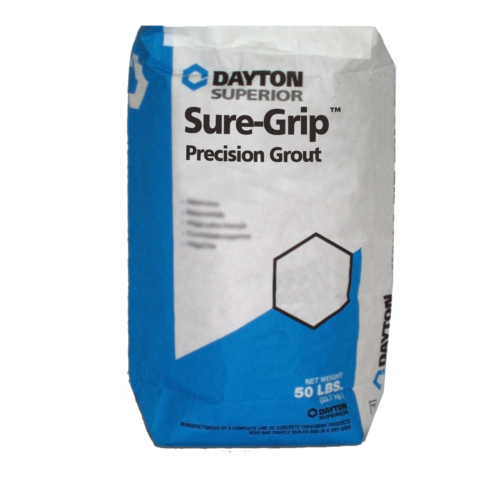 It is a cement-based, nonmetallic, nonshrink grout for applications requiring precision alignment. When tested in accordance with ASTM C 827, Five Star Special Grout 120 shows positive expansion. Five Star Special Grout 120 meets the performance requirements of ASTM C 1107-02 and CRD-C 621-93 specifications for nonshrink grout over a wide temperature range, 40?F - 90?F (4?C - 32?C), and a long working time, 45 minutes. Characteristics Include: - Salt and seawater resistant - Permanent support for equipment requiring precision alignment - 95% Effective Bearing Area (EBA) - Formulated with Devoider for optimum air release (ACI 351.1 R) - Dry pack, pourable and pumpable Uses Include: Grouting in areas of high seawater or saltwater enviroments, concrete salt storage bins for soft water systems, concrete coloing tower basins, machinery baseplates in a saltwater enviroment, installation of pre-cast concrete panels in a salt water enviroment, repair of concrete in confined areas, etc. Five Star Special Grout 150 is a sulfate resistant and moderate heat of hydration, cement-based, nonmetallic, nonshrink grout for clarifiers requiring high sulfate resistance. When tested in accordance with ASTM C 827, Five Star Special Grout 150 shows positive expansion. Five Star Special Grout 150 meets the performance requirements of ASTM C 1107-02 and CRD-C 621-93 specifications for nonshrink grout for Grades A, B and C, over a wide temperature range, 40?F to 90?F (4?C to 32?C), and a long working time, 45 minutes. Characteristics Include: - Air Release Technology per ACI 351.1 R - Sulfate resistant - Permanent support for machinery requiring precision alignment - Moderate heat of hydration - 95% Effective Bearing Area (EBA) - does not contain gas generating additives such as aluminum powder - repair of concrete in confined areas - Non-shrink from time of placement Uses Include: Deep large volume pours, clarifiers, machinery baseplates in high sulfate areas, structural columns and pre-cast concrete panels subject to sulfate attack, anchors and dowels, repair of concrete in confiner areas, etc.